Saudi Arabia will begin issuing tourist visas in the first quarter of 2018, its top tourism official said, a first for the kingdom as it undergoes major economic and social reforms. Prince Sultan bin Salman bin Abdulaziz said that "all government approvals" are in place for the launch of electronic visas next year to "all nationals whose countries allow their citizens to visit" Saudi Arabia. "We are now just preparing the regulations - who is eligible for the visas and how to obtain them," added the head of the Saudi Commission for Tourism and National Heritage. The move to open up its tourism sector is a major shift for Saudi Arabia as Crown Prince Mohammed bin Salman seeks to radically overhaul the kingdom's oil-dependent economy. Apart from the millions of Muslims who travel to Saudi Arabia annually for the Haj pilgrimage, most visitors face an arduous process and steep fees to enter the Kingdom. 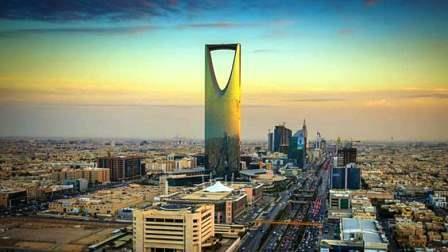 Saudi Arabia currently grants tourist visas for a limited number of countries, but even those applications involve a range of restrictions, including requirements to travel through an accredited company and stay at designated hotels. Prince Sultan said the cost of the new tourist visa had not yet been settled, but stressed that it would be "as low as possible, because we believe the cumulative economic impact is greater than the cash from the visa".